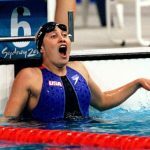 Want a faster breaststroke kick? Don’t know where to start? 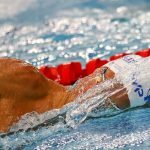 Here is how to improve your breaststroke kick with the help of two-time Olympic breaststroker Mike Alexandrov. 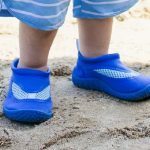 If you have stumbled through some of my previous posts you know that I often talk about the importance of having a powerful kick. Whether it is developing a killer underwater dolphin kick, or improving your freestyle kick, having a solid and well-conditioned set of legs can go a long ways in helping you swim faster. 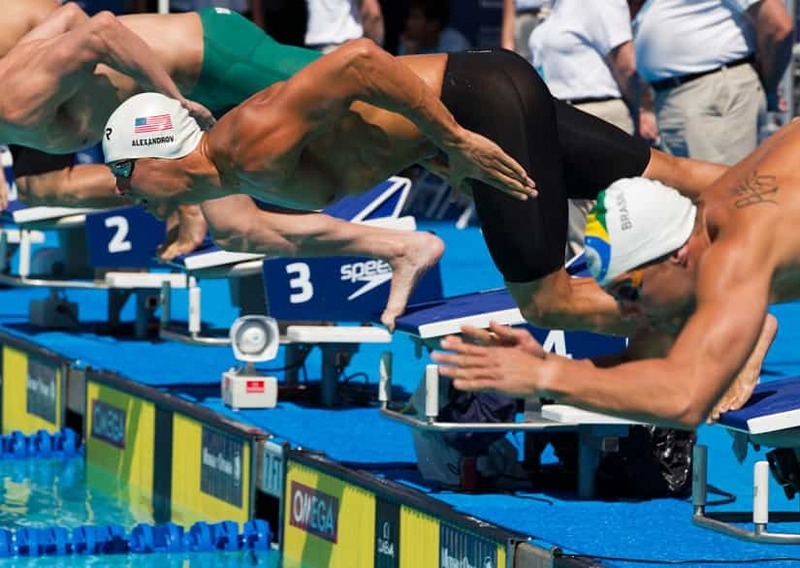 Nowhere is a strong kick more critical than for you breaststrokers and wannabe breaststrokers. While the other strokes gain a fraction of actual propulsion from their kick during the stroke, breaststrokers live and die by their kick. According to kinematic analysis the breaststroke kick is the largest propulsive force during the stroke cycle. 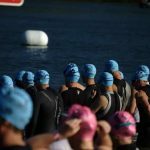 Which means that if you want to become a faster breaststroker, whether to level up your individual events or in order to not get pummeled during the breaststroke portion of your IM races like I always used to, than start with your kick. You already know that the way to improve is to put in the reps, and you might already have super strong legs. 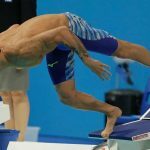 But for most, the problem isn’t one of strength or practice–it’s mastering the timing and technique of the breaststroke kick that is the struggliest of the struggles. 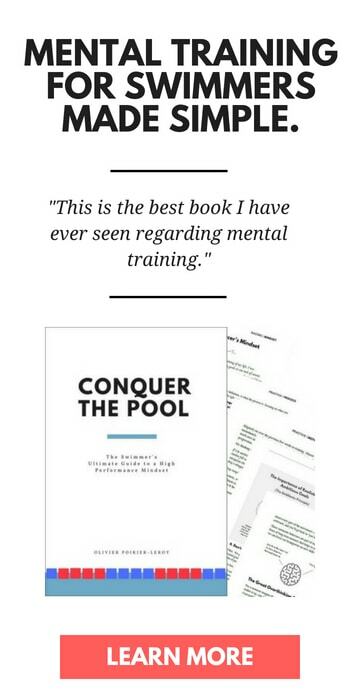 As someone whose breaststroke kick is decidedly unawesome I reached out to two-time Olympian and NCAA champion Mike Alexandrov for some pointers. 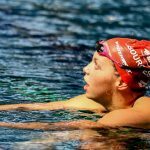 Mike has worked with us in the past with guides on how to improve your breaststroke pull, as well as sharing some breaststroke sets to level up your speed. His breaststroke is also world class; beyond going to the Olympics twice he is also a world champion and US Open record holder in the 100-yard breaststroke. Here are a couple drills to help you improve your breaststroke kick. The first one is the straight-legged breaststroke kick drill. The knees are to slightly bend and as the 25 progresses you can bend the knees a little bit more and more with each Kick. However, the kick drill’s focus here is on the dorsiflexion and plantarflexion of the foot. The goal is to feel propulsion with the bottom of your foot as you are doing this ‘scissor kick’ motion (as I call it). The second drill is kicking your heels up to your knuckles. The purpose of this drill is to feel the thrust of the hips forward as the heels are coming up to the gluteus. Shortly after, as you kick back the thrusting of your hips upward as you finish the kick. I like to think of this drill and compare it to a car going over the speed bump. The front tires go over the speed bump and then the rear tires must go over the speed bump. The same thing happens with our body as we come up for the stroke, the front wheel (or our arms), are coming over the speed bump and it must be followed by the hips and legs as the kick ensues (the second speed bump). During this drill I have my hands at my side for the first part of the 25, and then for the second part of the 25 I bring my arms up to really feel like I am in my Glide position during the actual breaststroke without changing any of the hip thrusting motion. A huge thank you to Mike for stopping by and sharing his insight and experience. Make sure to follow him on Twitter, and if you are searching for personal training services in the Los Angeles area Mike and the people at Lynx Fitness have you got covered. 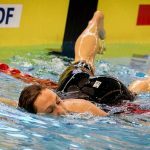 How to Fix and Prevent Breaststroker’s Knee. The ultimate guide to avoiding and dealing with breaststroker’s knee. Two of the world’s top physios stop by to drop some knowledge on everything breaststroke knee related. 1 Arm, 1 Leg Drill: How to Get to Race Tempo in Breaststroke. 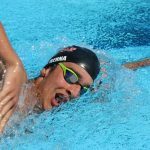 Two-time PAC-10 100 breaststroke champion Andre Sallas-Cunha shares an advanced drill that will help you speed up your stroke turnover in breaststroke.